I’ve gone through a lot of phases in what I am especially interested in at any given time. All of the phases are pretty all consuming while I am in them – taking up a substantial part of my time and energy, only to become boring and be replaced by something else eventually. For a while, it was being a sailing instructor at many different places at the same time. 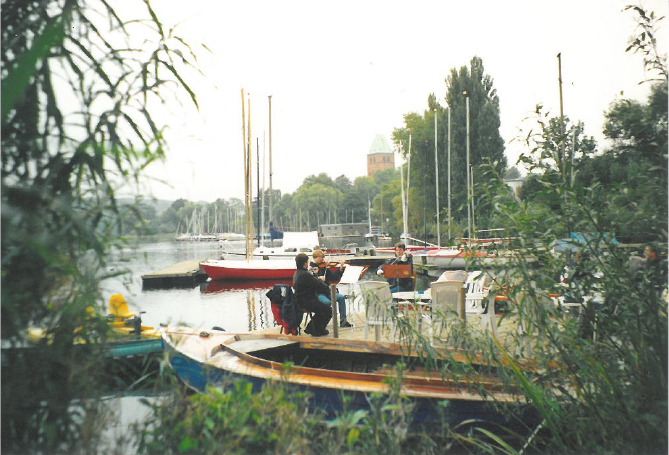 Then, actually overlapping with the sailing, it was playing the violin in every ensemble and orchestra I imaginable. Then it was oceanography. 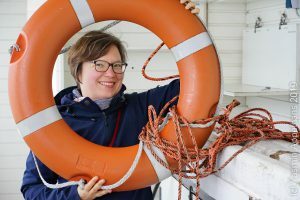 During the oceanography phase, it was pottery, more sailing instructor jigs, mentoring women in STEM, learning Norwegian. Then it was playing canoe polo. Then it was teaching oceanography. Right now it is understanding how people learn so we can improve teaching. And I imagine it will be something else in a couple of years at the latest. Playing music with my sisters at Ratzeburger Segelschule for some cultural event, a long time ago. Whenever I dropped one thing and moved on to the next, many people did not understand why I would give up on something that I had invested so much in, and that in many cases I had gotten pretty good in, to start from scratch somewhere else. And I never had a good answer, except that it was what felt right at the time, and what I wanted to do. And then I recently found the blog puttylike – a home for multipotentialites and all of a sudden the world makes so much more sense to me. So apparently it is a thing to not specialize in one single niche for all your life. There are more people out there whose interests are as broad and changing as mine! And apparently it isn’t necessarily a bad thing to decide to change careers when you actually have one that you enjoy — like postdoc-ing in oceanography — just because something new is more exciting. I still enjoy playing the violin, I just do it every couple of weeks now, not all day every day. And I still enjoy being a sailing instructor. I’ve done it for two weeks this summer, and it was great fun! But now I’m good until next season comes around. I still have tons of handcraft projects that I do, most recently, as you might have noticed, I have started illustrating didactical theories. And obviously I am still hooked on oceanography, and teaching oceanography, and understanding how people learn. Looking at all my phases, this seems to be the pattern that emerges: Water – instructing – doing something tangible. Which is what I am doing now on here: creating materials and providing ideas to people how to use those materials to teach others about the ocean. And even in my job, that is what I am doing: Mechanical engineering is not that far from oceanography (and after all, I minored in naval architecture and ocean engineering, which falls into mechanical engineering at my work), and I consult with people to prepare teaching materials to best convey a given content. The first instructional material I designed (at least that I remember). 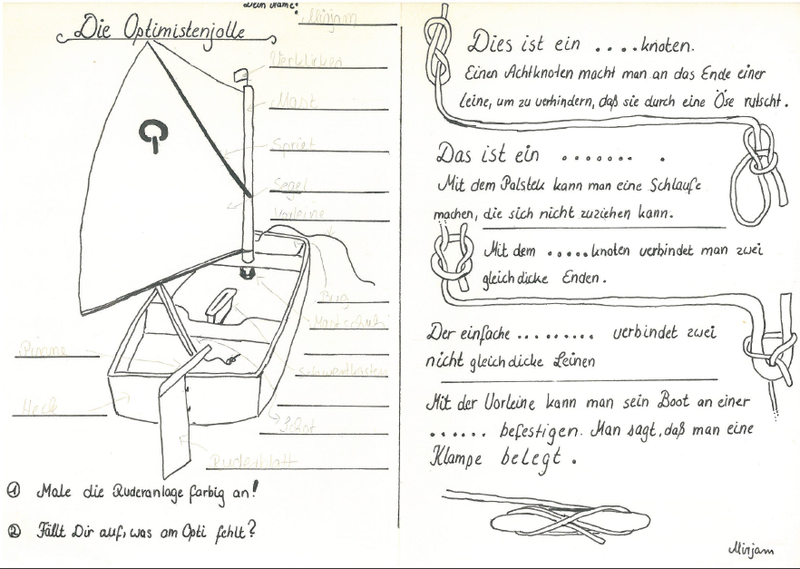 I was probably 12 at the time and the “helper’s help” at Ratzeburger Segelschule. So maybe doing what I do now is the perfect combination of things for me. Or maybe it will develop into something else, but I’m pretty sure that something won’t be completely unrelated, even though it might not be obvious to everybody right away how it follows from what I have done so far. But maybe that doesn’t even matter. When I studied for a Masters of Higher Education during my PhD, most people who knew about it thought I was mad. Turns out that in retrospect it makes a lot of sense for the job that I chose to pursue years later, one that I didn’t even know existed at the time. This entry was posted in Uncategorized on November 25, 2015 by mglessmer.